Try it for free, no card required! Everyone knows Minecraft is best played with your friends. Nodecraft is here to give you affordable access to the best hosting service out there, with none of the hassle. And with our new NodePanel 2 interface, it’s	easier than ever to get started! Your Minecraft server hosting setup is instant, your control panel is easy to use & mobile friendly! With our unique panel, your Minecraft server hosting will be installed in seconds. NodePanel lets you easily install modpacks, install plugins, and make configuration changes. Plus, with our streamlined app, you can easily manage your game server from your phone. Hundreds of modpack options are available to you, directly on our panel. From Minecraft Forge, to Spigot and Sponge— whatever server jar you're looking for, we make it easy to access and run. NodePanel even takes care of your updates, so you can spend more time playing and less time handling maintenance. Create your serverStart Free trial Create your own Minecraft Server today! Save & Swap to any other game, for no additional cost. We're gamers too, and we know that nothing is more frustrating than lag and crashes. Unlike other Minecraft server hosting providers, we make sure not to overburden our servers— that means we maintain an average of only 12 customers per device. This allows your instance to access more CPU cores, disk IOs, and RAM. More power per user means your server will have protection against the common headaches of lag and crashes. Our servers use a quad core Intel Xeon E3-1230 v2 or newer processor. New servers are deployed with E3-1231 v3s. Error correcting and highly clocked, this RAM is deployed for amazingly high speed performance. We use Samsung 830 Pro series 240GB SSDs or better on our servers. DDoS attacks have are a constant threat to game servers. Our network is built for network attack reliance. We've built our entire infrastructure on top of a linux ecosystem to focus on performance, security, and stability. Spawn a Minecraft server near you. Our DDoS protected network provides our customers with low latency and 99.9% uptime. If you have questions or problems, our support staff will answer within minutes! On average, we respond to your conversations within 30 minutes and resolve your problems within an hour. Our support staff is available from 10am to 10pm (CST) every day! You can reach support toll-free by calling us at 1-888-907-3220, or by using the live chat here on our website. You get the most value for your money with Nodecraft! Our pricing starts at an affordable $9.98 per month for your Minecraft server hosting. Plus, we don't have any player limits! But you play other games too, right? So do we. That's why we created a system that allows you to save your progress and freely swap to host a different game, at no additional cost. So what if you have a burning need for some ARK: Survival with your friends for a day, then you want to switch back to Minecraft tomorrow? Great, do it! Don’t stress about racking up fees for swapping back and forth, because there aren’t any. Save your Minecraft instance, and then load your ARK instance to your server. Nodecraft gives you more freedom and the best service, at the same affordable price as always. Still on the fence? Here's some nice stuff people have said about us. "Great Minecraft hosting service. Far better than the hosting service I previously used for my server. Overall it's very clean looking, well designed, and has great features." "Their control panel for Minecraft, "NodePanel", is the best designed interface that I've seen for working on your Minecraft mod-pack." To get in touch for help or even a update to a question, is less then a minute with the chat service. Last problem was a hardware problem and it was resolved under 6 hours. I can not ask better then that!!!!! Keep in mind that was on weekend hours not during normal hours." "The user interface on the website is extremely easy to use while still being complex enough to get creative. Almost every question I've had was already answered in the Knowledge Base. The one time I have had an issue requiring staff assistance they were very helpful and some the issue in a short amount of time." Minecraft is one of the most popular games in the world. 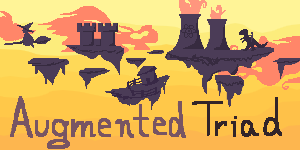 It is a sandbox game that allows for its players to explore a virtual world, fight enemies, chase adventure, and create whatever they want with gathered resources an building blocks. It's a multiplayer game that's playable on many platforms including your PC, smartphone, tablet, Xbox, or Playstation. Our Minecraft hosting service lets you and your friends play your way and keep a backup of all of your creations! Create your serverStarting at $4.99 Create your own Minecraft Server today! Save & Swap to any other game, for no additional cost. Alright, so you’re playing Minecraft on PC. Outside the flowing white hair and golden glow, you got something else going for you: the ability to use mod packs and plugins our console brethren can’t touch. Want to catch some Pokemon while you mine for diamonds? Pixelmon has you covered. Want to explore dozens of different kinds of fantastic terrain? Biomes O' Plenty has your back. Maybe you just want basic commands that you’re used to on the big-name public servers, like /home and /back. Plugins like Essentials and Treecapitator are all a click away on your control panel, with full support for Bukkit and Spigot. Nodecraft’s modded Minecraft server hosting plan support a huge array of modpacks and plugins, all available for instant one-click deployment on your server hosting control panel. We pride ourselves on the comprehensiveness of our library, so if there’s something you want that’s not on here, just tell us. We’ll be more than happy to install it for you and grow our mod library a little more. 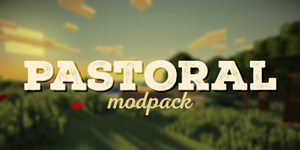 Looking for a particular modpack? Our team will be happy to help you install it! Contact us. ATLauncher ATLauncher is a simple and easy to use Minecraft Launcher which contains hundreds of different Modpacks. 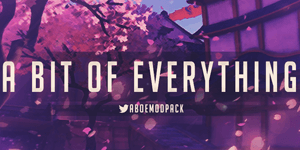 Twitch Client Modpacks Curse and FTB Modpacks unite! Get started, create your first Minecraft Server!